This is a very rare and large Tiffany & Co. Sterling Silver ladle in the gorgeous Wave Edge pattern that was introduced in 1884. It measures approximately 13 3/8" long and weighs 10.2 ounces or 290 grams on a postal scale. 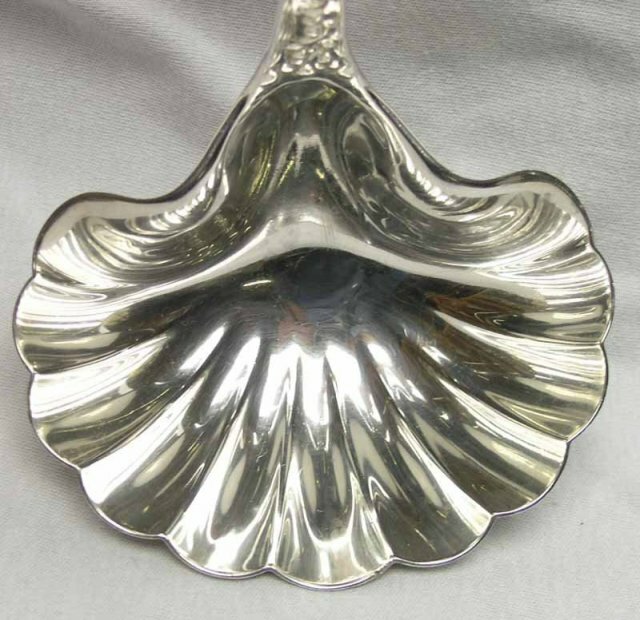 It has an absolutely stunning and highly detailed handle and fluted bowl. It has a fancy monogram that looks like the letters MEY - a magnificent ladle you will cherish for years - fine Tiffany quality - just gorgeous! Items Similar To "Lg RARE 14" TIFFANY Sterling Silver WAVE EDGE Ladle"